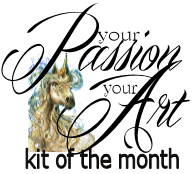 I'm starting off 2015 with one of my favorite projects form the January 2015 Kit of the month. Included in every main kit purchase is a project that we call " off the page" or OTP. 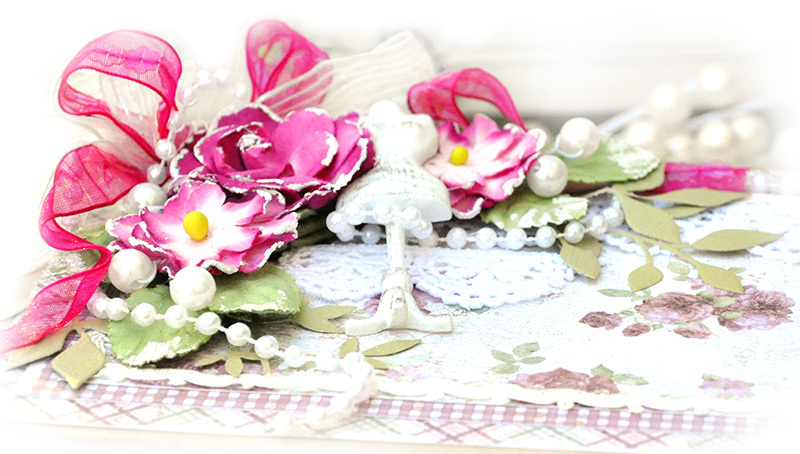 It's something fun to alter and let you step away from card making and scrap pages for a brief time. 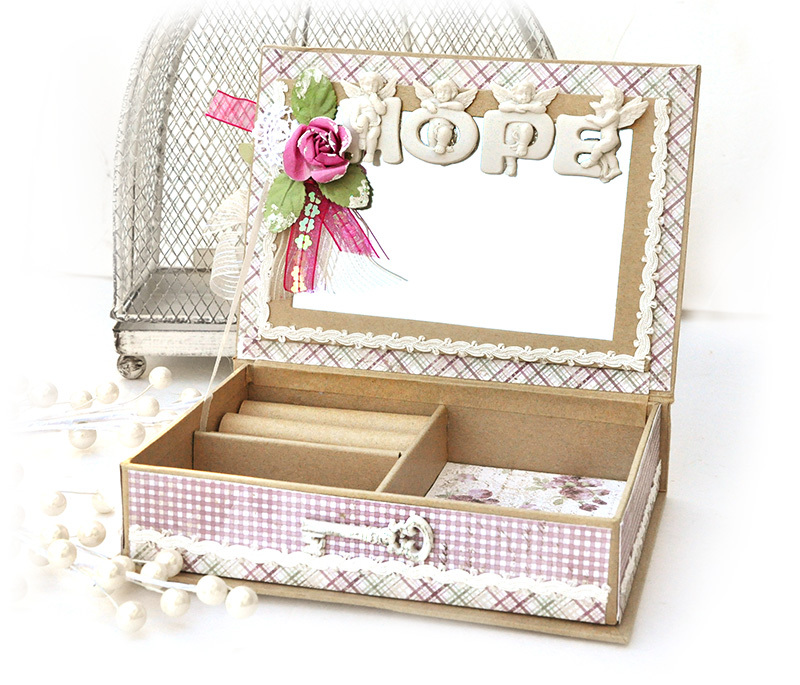 January has a jewelry box by Darice. 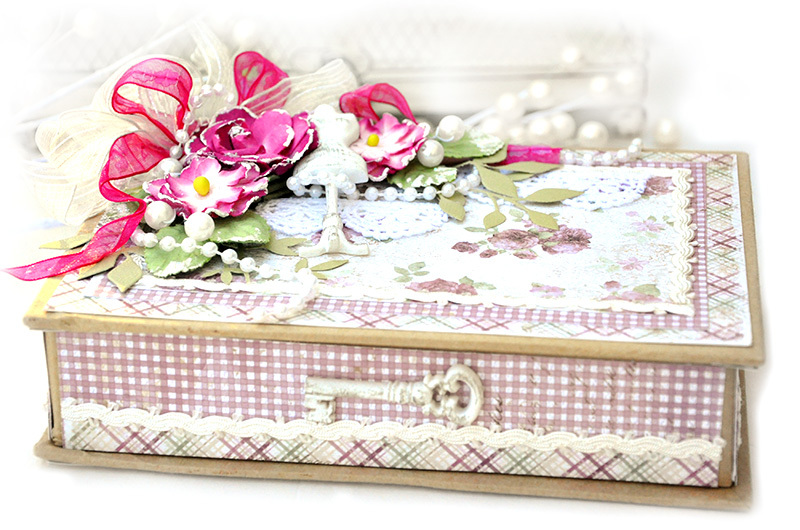 I had much fun with this as I decided to make this a "hope chest" for someone conquering breast cancer to store treasures, keepsakes and motivational baubles. 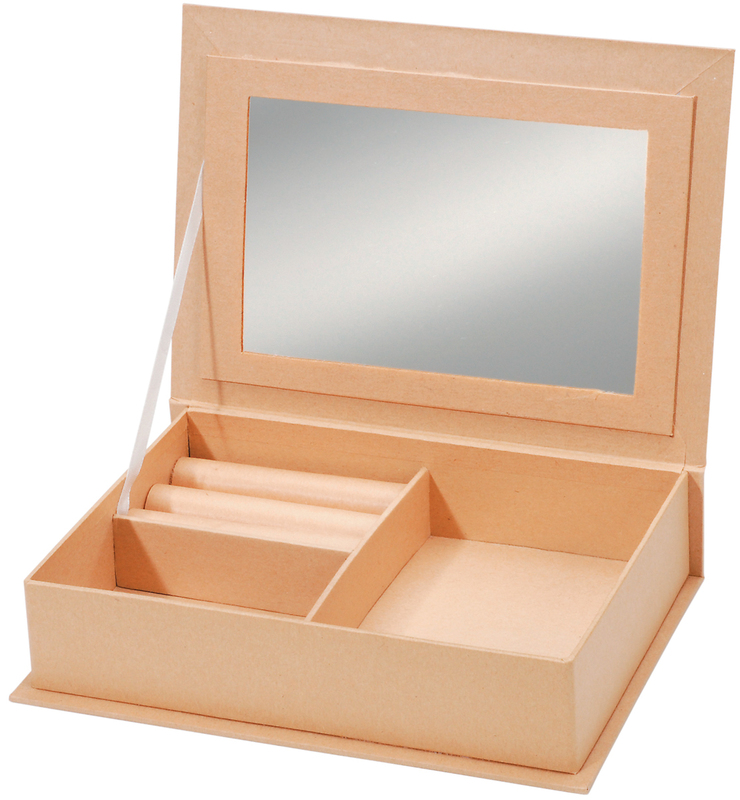 The box dimensions are 7.25" x 5.25" x1.75" - really the perfect size for your dresser or dressing table. 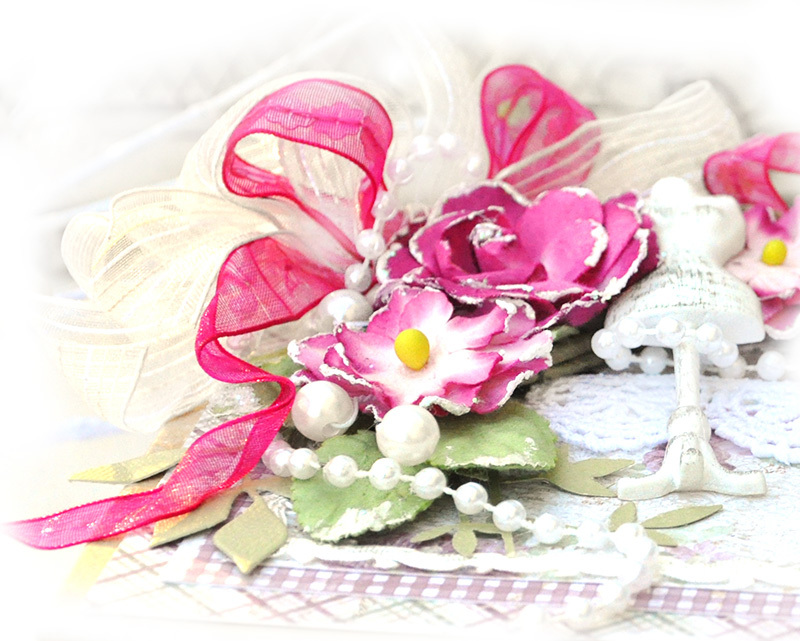 I selected a bunch of Prima resins to adorn my "hope chest". The Prima Ingvild Bolme dress form, keys and the Prima resin Hope Angels sit atop the mirror on the inside of the box so that when you gaze into it, you see beautiful hope for the future...YOU! I selected Maya Design papers to cover my project because they have a gorgeous array of pinks representing the battle to fight breast cancer. I also draped the outside of the box with string pearls because I wanted to start the box with it's own girly fun. I chose not to paint my box and instead, work with the natural color. I find it is easier to work around the natural color to simplify the project than to complicate it and try to paint the box. The light kraft color of the box is beautiful, neutral and goes with just about any color used on the box. Darice Jewelry Box dimensions are 7.25" x 5.25" x1.75"